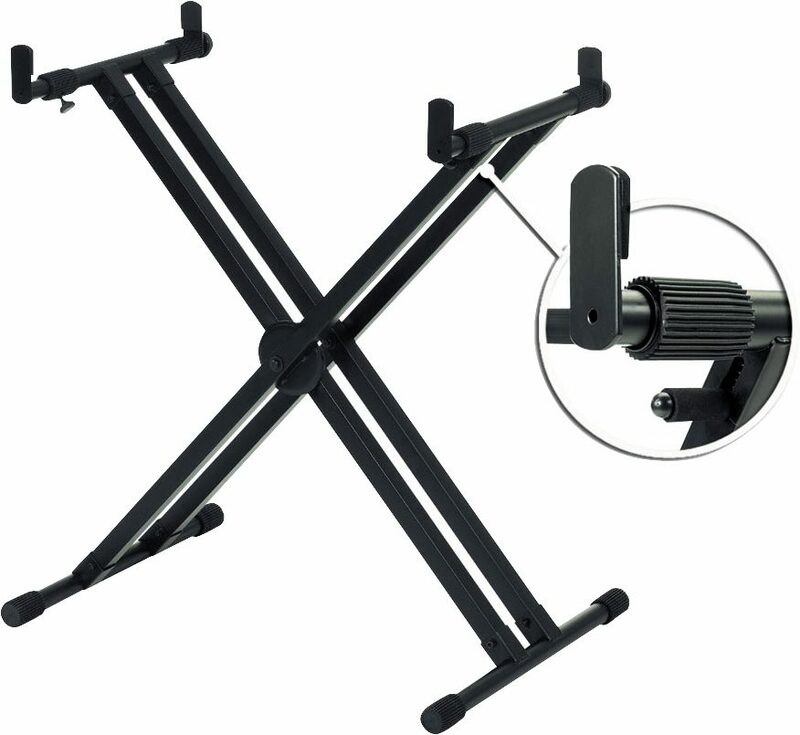 This heavy-duty professional stand is ideally suited for supporting Yamaha Synthesizers and Keyboards. A unique adjustable top provides extra support for unusually deep designs, making it perfect for keeping a large variety of keyboards securely in place. Large rubber feet keep this keyboard stand extremely stable. "Yamaha YKA7500 X-Style Keyboard Stand"
Overall: Serves the purpose well and my son loves it. Style of Music: christian contemporary,rock,ballads,classical etc.